Yesterday I spent my day going through all my old interior files… at first it started out as a step in my “spring cleaning process”, however this process was abruptly stopped soon after I started on my decor files- I just couldn’t help but get “lost” in this beautiful world. 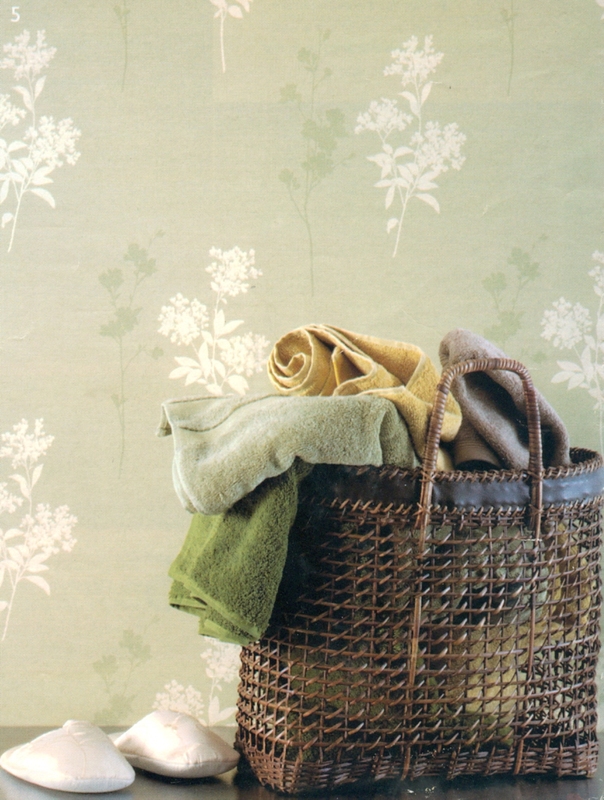 Anyways, here are a few nice bathroom decorating ideas I rediscovered – the minty green was just irresistible! 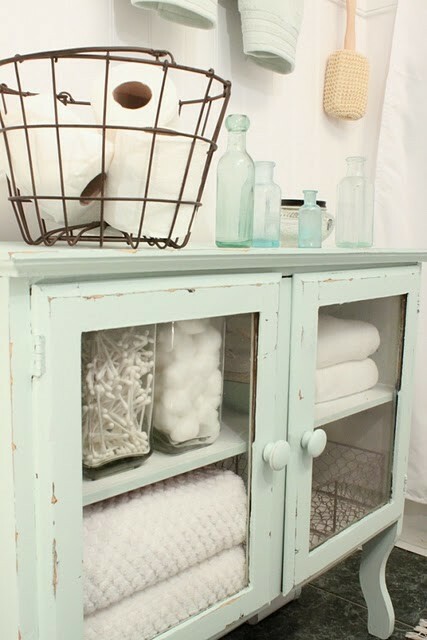 Shabby Chic bathroom storage from reclaimed wood. 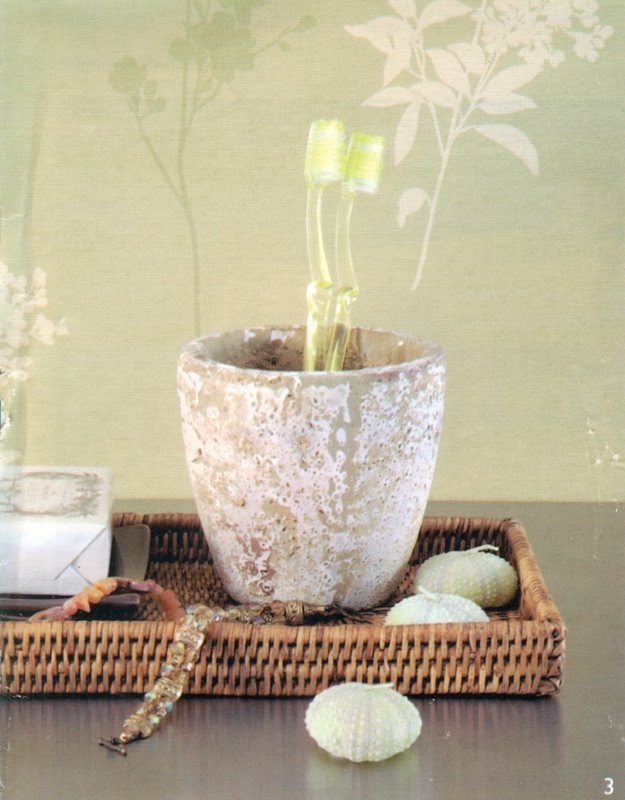 Looks pretty for a guest bathroom. 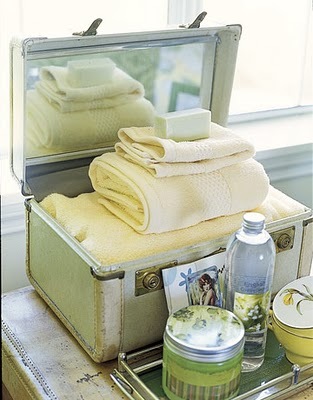 Featured in: Garden and Home; Rustic bathroom storage. 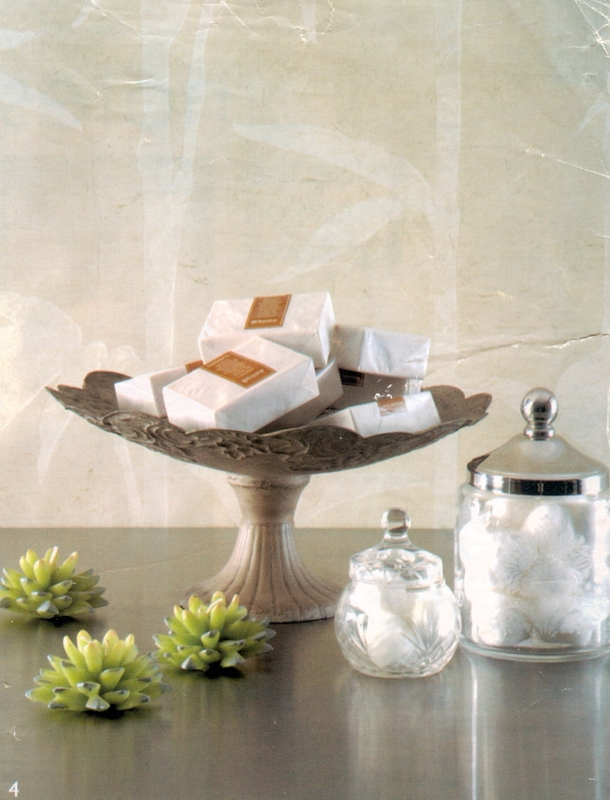 Cakestand with soap display and glass jars makes for a pretty bathroom display. 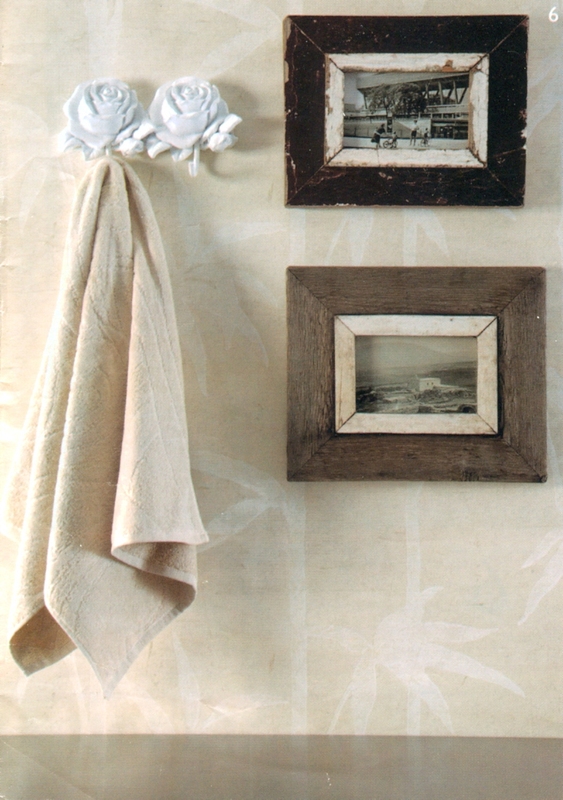 Why not hang wall art in the bathroom – the wallpaper and use of rustic picture frames is a charming combination. Featured in: Garden and Home; Storage for extra towels. 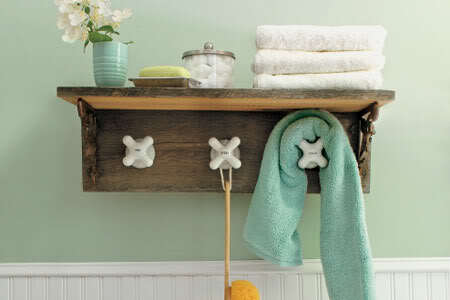 Sweet bathroom wall mounted coat rack – also good for space saving in small bathrooms.